I think 2018, in terms of fashion and style goals, has been all about the Kapoor sisters. Whether it is Karisma and Kareena, Sonam and Rhea or Janhvi and Khushi - individually or together - they have been a great source of fashion inspiration for us throughout the year. Yesterday, at Isha Ambani and Anand Piramal's wedding or as we are calling it, 'The Wedding of the Year', the whole Bollywood fraternity came to give their blessings to the newlywed couple, and blessed us too with their desi style. 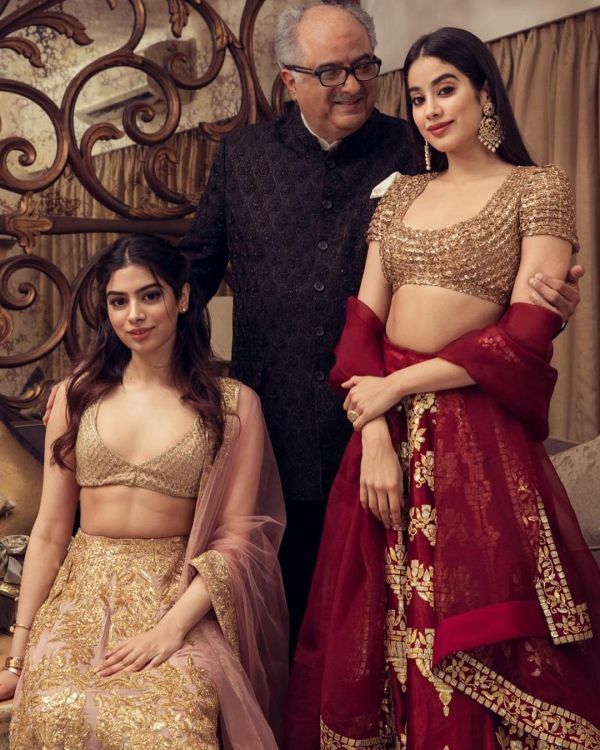 But, of the lot, it's Janhvi Kapoor and Khushi Kapoor who impressed us the most- owing to their risque-y blouse designs. Styled by Tanya Ghavri, the whole fam looked like they came straight out of a Bollywood movie poster. We're seriously considering getting a nail and hammer to take it off our Instagram wall and put it up on our room walls. So, without further ado, here's why we are loving Janhvi and Khushi the most at the Ambani wedding. Janhvi wore a deep red and gold lehenga by Abu Jani Sandeep Khosla, designed by Sandeep Khosla. While the lehenga skirt had a combination of gold and muted silver work, the dupatta was slightly sheer and had a matching border across the length of it. And the blouse? Oh, that blouse! The gold-toned texturised blouse had a super deep U neckline. Well done, AJSK! Wait until you check out the back design on this blouse. I must say, a keyhole cut-out is becoming our new favourite blouse design, and that too on the back more than on the front. Recently, Sara Ali Khan wore a very similar backless suit (of course, by AJSK) for the promotions of Kedarnath. And the best part about this back design is that it is extremely low maintenance, unlike other backless blouses. It comes with a hook and eye closure at the hemline and a tie-up fastening at the top. Don't worry, you don't have to worry about a wardrobe malfunction with this one, ladies. Are you taking notes? Pulling off a deep neck design and a deeper back design that too with such grace deserves a medal. You take one from us, Janhvi. Just take it and fly. Ladies, if you have a small bust, this blouse design is ideal for you (if you want to show some skin without scandalising all the aunties). POPxo Tip: Avoid wearing longline necklaces with such neck designs. They will only attract more attention to your cleavage, and we don't mean in a tasteful manner. If you are adamant about accessorising though, opt for a statement choker necklace instead. 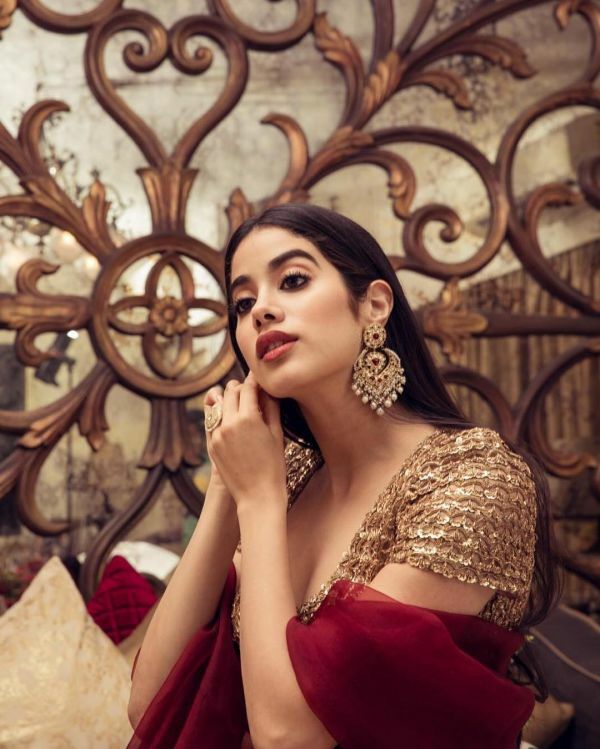 Speaking of accessories, Janhvi completed her look with nothing but a statement ring and a pair of gold-toned chandbalis with rubies and pearls from the house of Tyaani by Karan Johar. Did you know that? Karan Johar has a jewellery line of his own featuring fashion and polki jewellery with a contemporary aesthetic. Of course, she didn't need anything else to glam up. Now, if you thought we're done with our daily dose of the Kapoor sisters, scroll down to look at Khushi's look from the wedding. Khushi went for a 'same, same but different' kind of blouse design in this Manish Malhotra lehenga. Unlike Janhvi's outfit, Khushi's blouse closed in the front with a hook and eye fastening, much like a traditional saree blouse. But it had a similar glam quotient thanks to the deep scoop neck design. She wore a peachy pink lehenga with gold embroidery and complemented the heavy lehenga skirt with a simple and elegant blouse and a net dupatta with a matching border. The young fashionista limited her accessories to a pair of diamond studs and rose gold metal bangles. And that's so Khushi! From what we've noticed, the young Kapoor is all about understated elegance. She usually likes to keep it simple, whether she's heading out for a Sunday brunch or a glamorous wedding. We love! Needless to say, the Kapoor sisters always show up in style. Check out how they sparkled at Isha Ambani's sangeet in Udaipur. 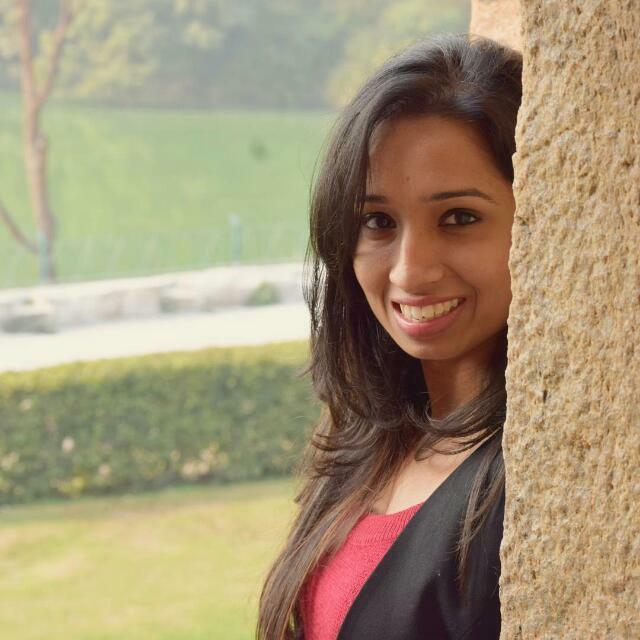 Thanks, Janhvi and Khushi for always helping us out with the trendiest outfits!